FANtastic!! 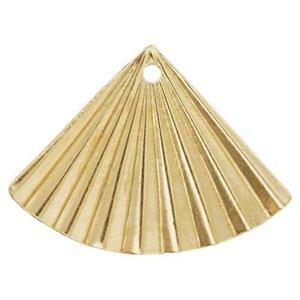 The GF228 – a 14/20 Yellow Gold Filled 30 gauge Folded Fan Earring Jacket. These are a simple and easy way to upgrade and update any post earring. Simply slip them in front of or behind your earlobe – slip the post through and attach your clutch. We also carry these in Sterling Silver folded fan earring jackets as item SL228.